The world's first picture postcards date from the 1860s to the mid-1870s, but most of the earliest picture postcards in the U.S. are those that were sold at the World Columbian Exposition in Chicago, Illinois, starting on May 1, 1893. These pictures were printed on government postal cards which included a printed 1-cent stamp. There were also privately printed souvenir cards that required a 2-cent postage stamp to be attached. Messages were not permitted on the address side of the cards. The Pioneer Era of postcards ended by July 1, 1898. An Act of U.S. Congress on May 19, 1898 granted private printers permission to print and sell cards that bore the inscription “Private Mailing Card” (PMC) and required a 1 cent stamp. On March 1, 1907 the back of the postcard was divided into 2 sections - on the right was a place for the address and on the left was a place for a message. This era is often referred to as “the Golden Age of Postcards” and most postcards were printed in Germany which had an excellent lithographic printing process. With the beginning of WWI the supply of postcards from Germany dwindled and England and the United States started printing postcards. Publishers left a clear border around the view, now referred to as “White Border” cards. These cards were often printed on cheaper paper stock with inferior printing. Post cards with high rag content created a linen-like texture that could be seen and felt. Brighter dyes were used for coloring and many postcards of this era advertised commercial establishments and products. “Chrome” postcards began around 1939 and are identified by a glossy surface. Images were primarily based on colored photographs. 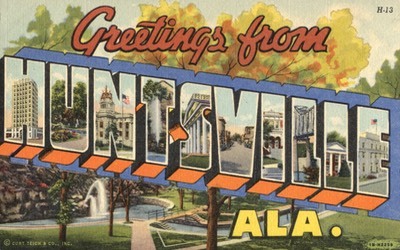 By the 1960s, many cards were printed at a larger size ( 4 x 6 inches) often referred to as continentals. Real Photo Postcards - Starting in 1901 photographs were sometimes developed onto postcard stock for mailing. These were of high resolution and often one of a kind and therefore have become highly collectible.